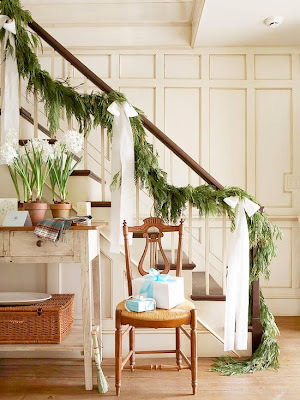 Big Bow Christmas Garland ~ Graceful bows with long tails dramatically enhance a simple evergreen garland. 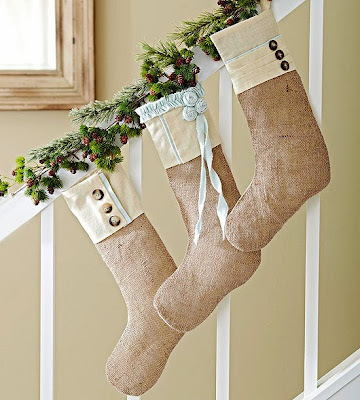 Cut extra-long strips of material, tie into bows, and attach to the stair railing about 3 feet apart. 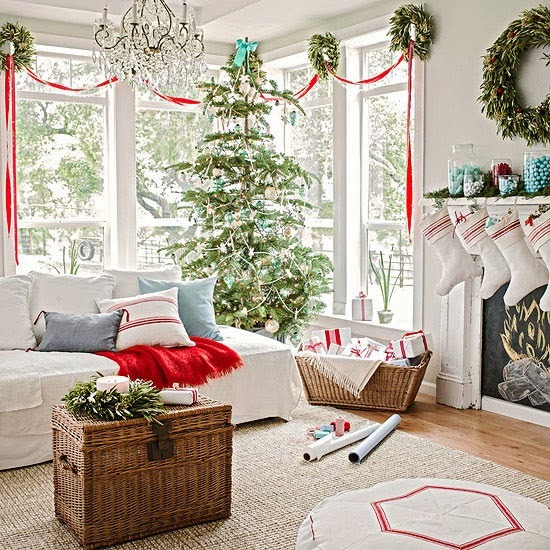 Multiple Sizes and Styles of Garland ~ Garlands used to be pretty basic holiday decor, evergreens draped on mantels and stairwells. 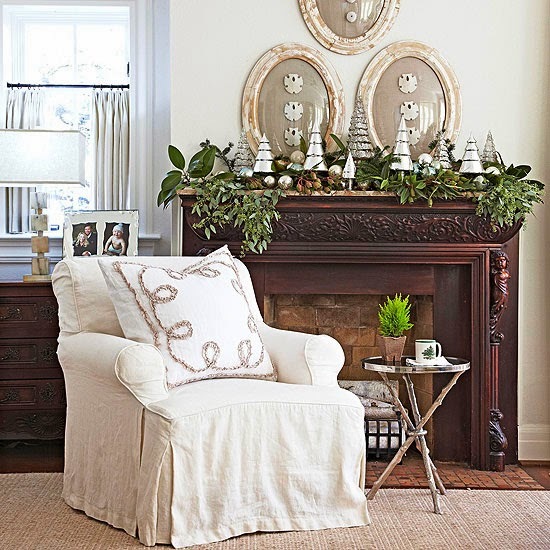 Now you can go bigger, like this room: Pretty evergreens add texture on top of the mantel, but a ribbon garland draped through miniature wreaths accents the large corner bank of windows for a festive pop of color. 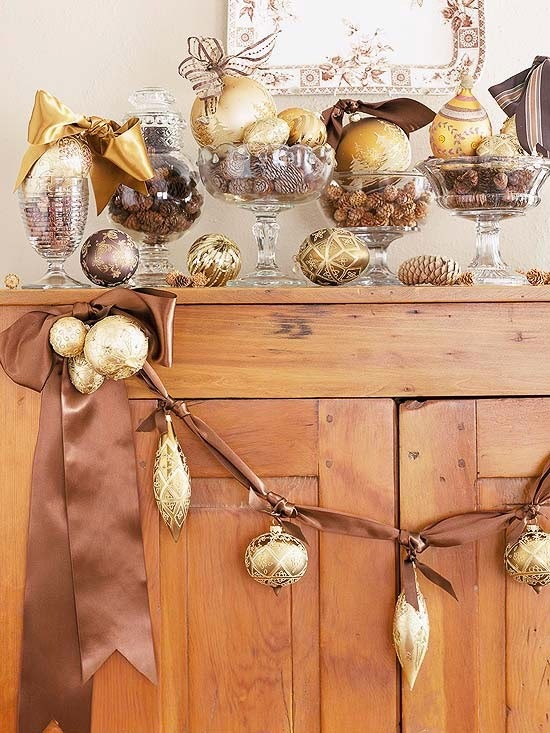 Creative Spots for Garland ~ There are probably more opportunities than you realize to add beautiful garlands to your holiday displays. 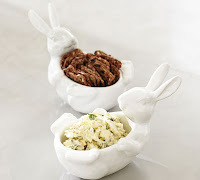 For example, oversize artwork, cabinet drawers, and frames are spots that allow garland to naturally drape. Tip: Choose pieces of evergreen in both light and dark greens to enhance the visual interest. Layered Garland ~ Draping a garland just right can be difficult, but a wide, flat mantel allows you to simply lay short, flat pieces, one on top of the other, as casual garland. 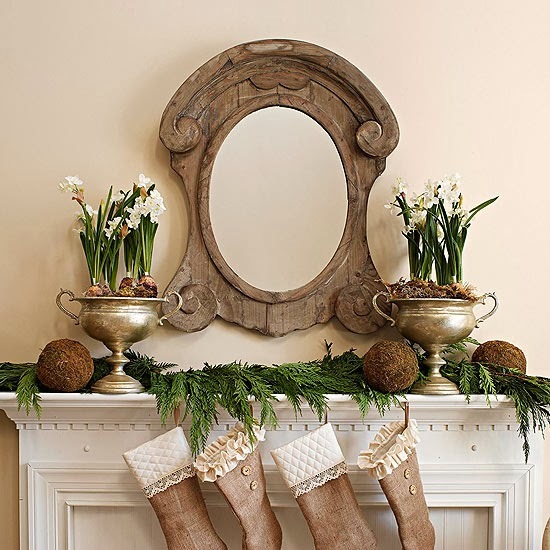 To create a pulled-together decorating scheme, pick up the color of the garland in other plants or flowers, such as the paperwhites shown here. 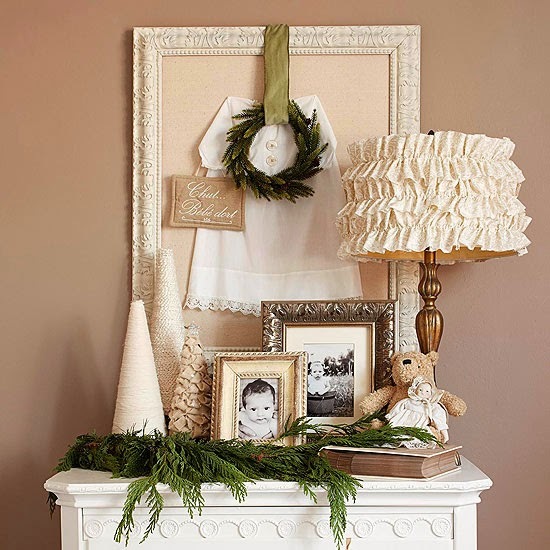 Garland for a Backdrop ~ Garland also can be used as a unifying element for multiple colors in a holiday color scheme. 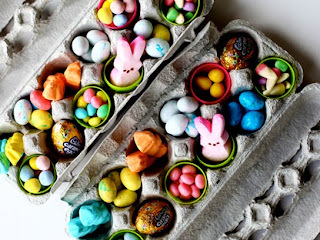 Here, unadorned greens weave around the glass jars, which display colorful holiday candy. Simple Christmas Swag ~ Create a simply stunning garland with ribbon and ornaments. Start with a piece of ribbon cut to the desired garland length. Cut shorter pieces of ribbon to thread through ornament hooks and tie around the ribbon garland, securing each one with a knot. Tie a cluster of ornaments topped with a wide, complementary-color ribbon to each end of the garland. 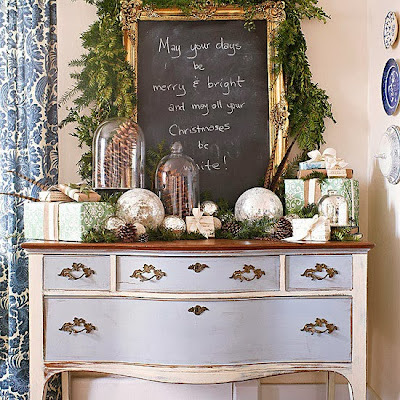 Silver Accents for a Garland ~ A garland doesn't have to drape in order to be a garland. Here, a variety of greens comes together in mounds and clumps, supplying movement to the mantel. Antique and vintage mercury-glass balls and new mercury-glass Christmas trees add sparkling contrast. Felt Flower Garland ~ A parade of felt flowers is a sweet alternative to the usual ribbon and pinecones adorning evergreen boughs. 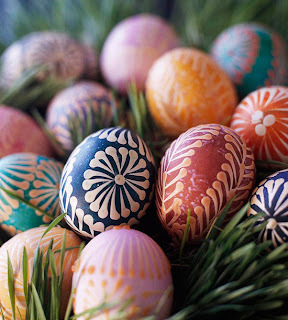 To make the flowers, cut six 2-inch and six 1-1/2-inch felt circles. Layer a small and large circle, aligning the bottoms. Pinch the set of circles together at the bottom, run a threaded needle through the four layers, and knot the ends. Repeat for remaining five petals. Stitch the six petals together at the pinched ends to form a flower. Using a needle and thread, string the finished flowers together on the back side through the pinched centers to form a garland. Tip: If you don't have enough felt flowers to line your banister, use them to decorate small spaces, such as bookshelves, windows, and mirrors. Garlands in Different Rooms ~ There's no reason to limit your use of garland, however casual, to just your living spaces. If you have extra pieces of evergreen boughs, add unexpected texture and rich color to bedside tables, bathroom shelves, and more. Here, a casual arrangement ~ mini garland on the table, mini wreath hung from a frame creates a charming vignette in a spare bedroom. Evergreen Doorway Garland ~ You'll forget you're entering the kitchen when you walk through this wintry evergreen arch. 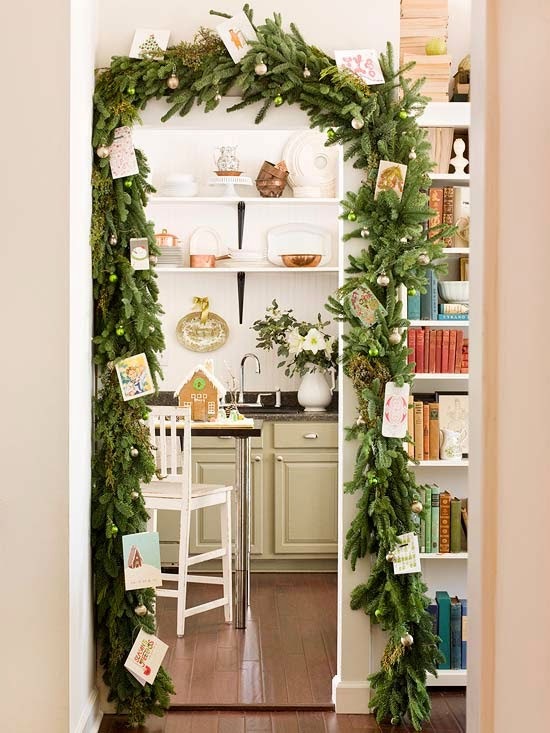 The evergreen garland hung around the doorway is decorative and useful, it holds Christmas cards! 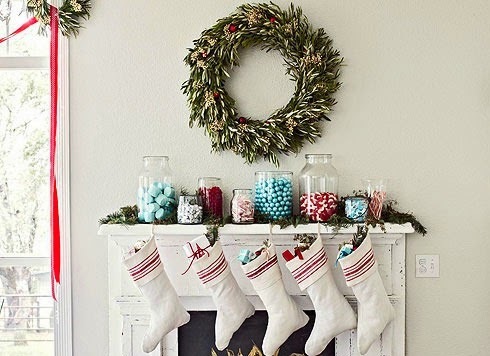 Tip: Secure the Christmas cards to the garland by tucking them neatly into the boughs or hanging them on the branches with small pieces of twine. Stairway Showcase Garland ~ For a twist on the traditional garland-dressed banister, try this accent. 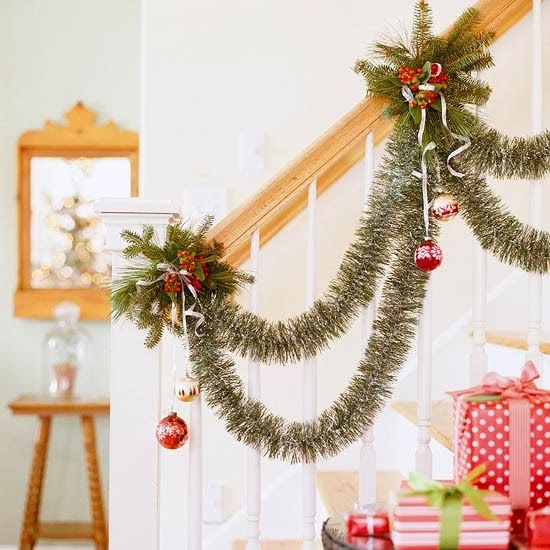 Wire double swags of green tinsel garland at intervals along the banister rail, then add ornaments dangling from silver ribbon. To add clusters of greenery and holly, tightly wrap wire around the railing for each cluster and tuck cuttings securely beneath the wire. 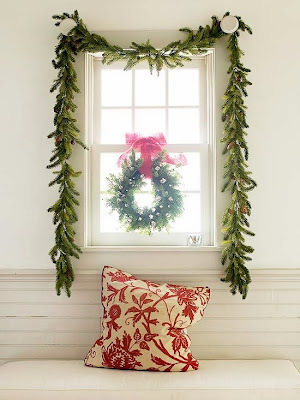 Pair a Similar Wreath and Garland ~ Dress a window with a basic pine garland for instant holiday cheer, simple yet stunning. If you want a little extra decoration, hang a small wreath topped with a bright red bow inside the window frame. 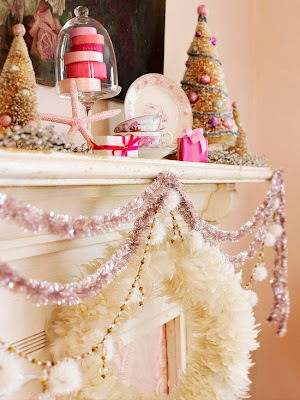 Glittery Pink Garland Trio ~ Instead of one large garland, consider hanging three or four smaller garlands together. Here, two slim lengths of tinsel are swagged at different depths and paired with a string of beads (and pom-poms) and a white feather wreath. 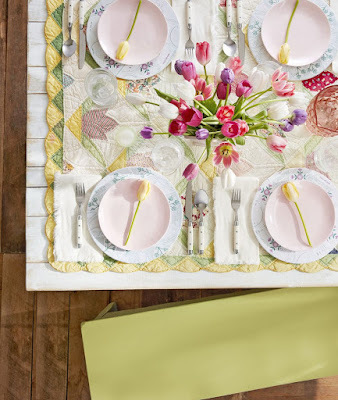 Pinecones-and-Greens Garland ~ Garlands can be assembled in a variety of ways. 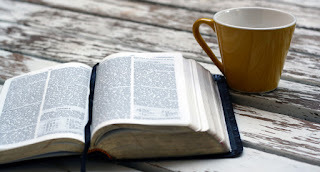 They may be single, long pieces of evergreens, or they may be smaller pieces of various types that are wired or glued together. This daintier version is the latter; tiny groupings of pinecones, also glued on, add complementary color and texture.